The Nokia PC Suite is freeware software from Nokia which is designed to ensure that mobile phone owners can transfer their files between their computer and their Nokia mobile phone. Some of the features on the Nokia phone can be controlled from the software itself. The PC Suite allows you to edit, backup and also edit Nokia files. 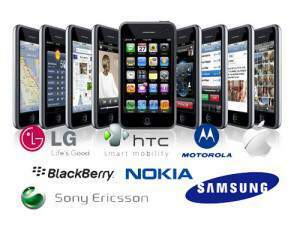 It is very easy to use much like all of the software provided by Nokia and the interface is easy to understand. There are a number of ways of connecting to your mobile phone. This can be via Bluetooth, Infrared, Serial Cables or a USB connection. If you do get connection problems, disconnect your phone from the computer, then exit the program and restart the program. Once the program is running you can then connect your phone to the computer and this normally solves the connection problems. See also the USB errors as has been explained here. The software is very useful and well designed. It is easy to use and most have used it without any problems. Note that this was the last version released by Nokia as it now runs on the Windows 7 operating system.